This is a first! Fast and Impactful. We are looking for truly winning inspiration on the Rally Fighter Side Vents. Many of our community have already been collaborating on the design of Sangho Kim's Rally Fighter in Vehicle Build. Now, for the first time, Local Motors is hosting a 4-Day "Parts-Bin" Competition for the design of a Side-Vent for the Rally Fighter. Parts-Bin Competitions will be quick and announced without much notice. We are looking for fast and exciting Side-Vent ideas. The winner of this competition will be determined by community votes (as usual), and will win $200. Even better than money, the winning design may actually be used on the final Rally Fighter Prototype. This is the first of many Parts-Bin Competitions. Have fun & Go Side-Vents! 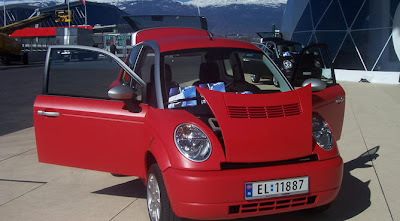 For those that don't know, TH!NK is a Norwegian car manufacturer that is on their 3rd reorganization through bankruptcy. 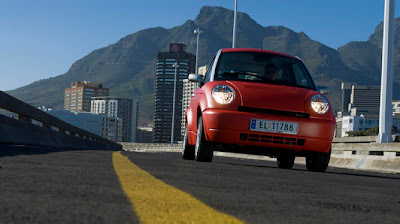 They make small, thermoplastic-covered electric cars that are battery agnostic (i.e. they use several types) and which utilize a battery lease method (i.e. you buy the car and lease the battery). About a month ago, they filed for protection under bankruptcy, and now they are trying to reorganize. What did they do wrong if anything, and what could they do better if they can reorg? They say that they "Sell Mobility"? But perhaps that is not such an important thing to do that when there are so many options for that very same thing at a lesser price with more style. Perhaps they would be better off to "Sell Experience?" If people buy mobility, then they probably buy it for less money than $30K+, but an experience PLUS a product can go for a lot more. And being from Norway they have a lot of cool experieince to sell. In short, the price is too much for the value. Decrease the price or increase the value. Since the cost is what it is, you may only have one choice. Increase the value. Nonetheless, there is still a little that you can do with cost. Get rid of the netted car. TH!NK boasts a WiFi enabled partner in this little car? Why? I question how important this is and more importantly how much it costs in pursuing this distraction. Cars are for driving mostly, WiFi is great, but unnecessary in your car especially since you are often alone in your car and when you're in the car your driving. Create a community, but do it locally. TH!NK has a great idea to produce at the HQ and to assemble locally. 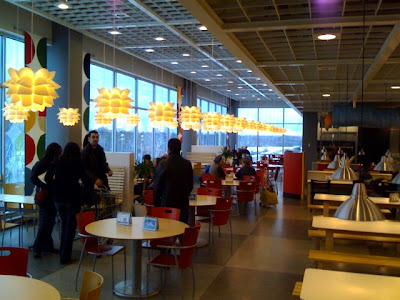 They should have gone IKEA on our American folk and we would have eaten it up. 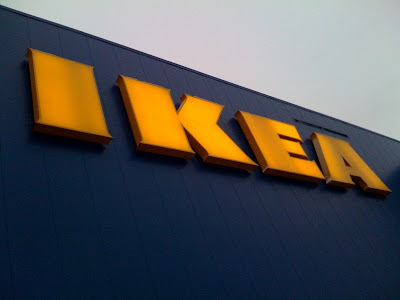 Local, cool, and IKEA like, with a dedicated community following….and a little more affordable because no electronic crap inside. That is worth paying for. Role these units out in Israel and Denmark and Hawaii and SF, with Project Better Place. Get Facility Ops downpat with that launch and then move out into other areas with or without Better Place. Better Place extends your range. Also starting in Israel and Denmark offers EV tax benefits not available in the States. This externality is seriously good. Get on the ground and make cars. Forget Renault and its plodding megane. Question will certainly come in homologation and crash safety. With this kind of product, they will certainly need to have volume, with volume they will need federalization, with federalization they need tooling, with tooling they loose flexibility. Hmmm, this is a toughy. At 10am EST, we will announce the winner of our 8th and most intense Competition for a regional based car for Local Motors. The winner of Chicago Motors will emerge from a crowded field, and we all cannot wait to announce this winner to the world. Join us in watching the announcement and then in coming to the site and congratulating the winners AND all the participants. There was so much hard work, comments and super support that the entire community deserves a big round of applause. Certainly the city of Chicago and its environs will never have such a dedicated group of global enthusiasts looking so closely at its shores and developing concepts purely with the Second City in mind. It is a special honor. Here is a taste of the work that was presented. Feel the rumble, imbibe the passion, join us for our next competition. Additionally, in our latest announcement of things to come, Local Motors is about to embark on the next edition of its competitions in a form of shorter, more focused comps. Watch carefully as we announce a new kind of competition to develop some of the more discrete parts of our Rally Fighter - parts which are dying for a taste of the LM Community magic. These will move faster and be an even greater forum for collaboration and challenge. Always something new from LM. States want to push this autonomy saying it will bring more choice to consumers. Big automakers say that this will make cars less appealing and more expensive. Here is the LM opinion: Government must take a leadership role for the common good when customers alone will not demand the change. If the Fed allowing states to adopt more stringent standards gives such an opportunity for leadership and does so at the more local level then that is a good thing. In a sense, this could even be construed as smaller government. In our auto world today, customers have not demanded the change because the current fuel efficient offerings are not exciting. So what to do? We all have a choice: 1) Keep offerings that customers desire without increased efficiency (current plan), 2) Mandate efficiency and believe that companies will compete to make exciting offerings. I think that the choice is that stark. I know, personally, how hard it is to make a car, and I do believe that there needs to be more respect and understanding for this complex process. We are trying hard to help in that. I also believe that automotive regulation and crash standards are responsible for making it even more impossible for companies to change products quickly and less expensively. Nonetheless, we must do better, and we cannot expect the Big Companies to do it on their own. If customers will not demand it (meaning they may talk a big game, but they buy with a different message), then the government has an obligation for the good of us all to push the companies and the people to strive for more for all of our sakes. The devil, of course, is in the details. States and the Federal Government must understand that the real innovation comes from companies and not from the regulation itself, so they must be careful not to write the regulation to be too restrictive such that companies cannot be free to innovate. This can be done. Whether it will or will not be done that way remains to be seen. My advice to the regulators: Stay out of the technology definition business (hybrid versus diesel, big versus small car, etc), just define air quality, greenhouse gas, and efficiency standards. Let the companies come up with solutions. Then take the regulation to the local level. AND if necessary grant money to all companies who have ideas to make this effort possible. To see this debate in action and to hear both sides, visit Jim Lehrer's NewsHour report on PBS.org and watch the streaming video, it is only 11minutes, but it provides for a meaningful discussion. 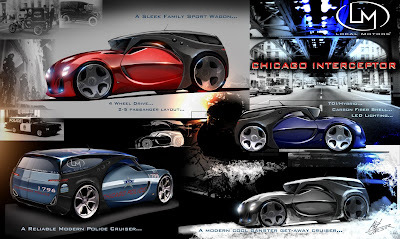 In about 48 hrs, Local Motors 8th Competition, Chicago Motors, will come to a close for voting. In what has become something of a trend this competition is decidedly more exciting than the last in terms of participation, types of feedback, and general excitement. In the 83 entries submitted from across the world, Chicago Motors boasts the strongest field of competition yet. In fact, 4 previous winners are back with design entries to wow the crowd (Iman, Filski, Ugo, and Mihai). They cannot be too sure of themselves, however, because there are new entrants who have emerged ready to take on the challenges of any comer, winner or not. Come check out the new battlefield of transportation design, where tradition meets lawlessness and great ideas abound. Cast your vote, make your opinion known in comments and see what comes around. Nothing is more exciting than engaging in your automotive future. We're already bringing the Rally Fighter to the Desert Racing scene. Whose vehicle design will be next? Will it be the one you like? That is up to you. This morning I started the work day with the most uplifting conversation. I interviewed a candidate for our Design Intern position. This young man, a dedicated member of our community and respected honoree on our Wall of Fame, hails from a small town in the Brasilian countryside of the state of Sao Paolo. 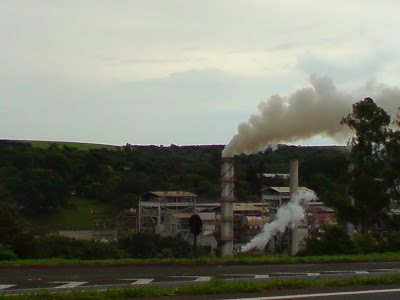 Sugarcane production abounds and surrounds his very home, and yet he dreams of joining a great car company. He attends a school in Brasil, but is largely self-taught in his trade. When we started to discuss cars, design, and the LM community, he simply lit up in a way in which only passion can stoke a flame. We talked of great designers, hard decisions, good outcomes, bad outcomes, the struggle for design in Brazilian industry, good companies, people in US and Brazil, and on and on. I have never been to Lencois Paulista, but I feel that we now have a friend and a connection there. The LM community has brought together so many folks from across the world and given them and us hope that automotive passion and creation is alive and well. This is only the beginning of he community that we can achieve and the change we are creating for the better in the industry. Go Brazil, Go Local, Go Lencois Paulista! What a morning. The last month has been spent working on refining the finer and critically important points of our go-forward vision. 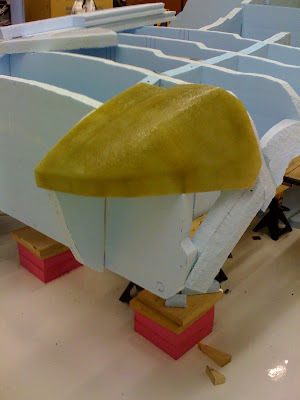 Here are some of the wave tops that define the T/O at any given Local Motors Micro-Factory. Head Micro-Motorhead - Runs the joint, strong member of the community, great with taking and giving feedback, DRIVES A RALLY FIGHTER (By love and By choice), fearless leader of one of the small bastions of the new auto economy, Blogger, Micro-event hound, only drinks Micro-Brew, shops locally, Thinks Locally Acts Locally, Home town hero. Bean-Counter, Task Master, The Big Brain - Used to be known as Pinky's friend, this wrangler takes our precious customers and sets them up for success with their very own builder trainer (who is this? ?....read on). 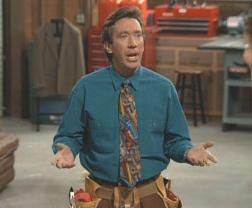 The Big Brain has the attitude and knowledge of Tim the Toolman and the grace of the Jessie Combs, and she is your first touchpoint. You pay her for the right to be one of the few. We should charge more, but she won't let us.....says that it is unfair that our product and experience is simply unmatched. Hrmmph! oh and yes.....DRIVES A RALLY FIGHTER with Captain America plastered on the side. 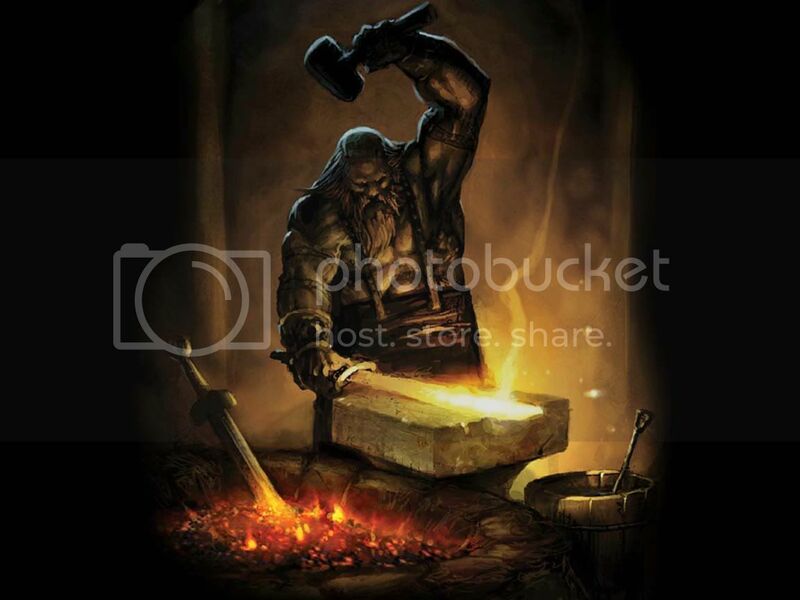 Your Builder Trainer - Your Barber, your Drill Sergeant, your Shaman, your key to a world of automotive freedom and wonder. You will receive your first contact after getting hooked up by the Brain, and this mentor is your ticket. Listen to him and in a short time he will help deliver your car. He will also service it when you need him, and he will happily take your newest best friends for a ride and seel them into the club when they come a' calling. COOLEST RALLY FIGHTER ON THE BLOCK. Shop-Boss - Sounds like organized crime, but this crime-fighter is anything but. Perhaps the key to the magic, this crucial member of the team has recently moved to the area of the Micro-Factory from the Administrative HQ where he has spent time engineering one of the new LM products. This person is a 2-WAY STREET of info, a defender of design and a holder of the flame for the magic process that delivers an LM vehicle born of the community, affordable, on time, and with wicked-awesome performance. He is P-L-U-G-G-E-D in and demands to hear all feedback from you and your Builder Trainer. If there were ever a departure from the OEM way of doing business, it starts here. RALLY FIGHTER RACER, and TEAM ORGANIZER. Shop Technician - Not rocket science, but rocket fuel. This engineer works for the Shop-Boss to put out fires...that allows the Boss to feel the heat from the flame but also to plan the attack. WORKING TO FINISH HIS RALLY FIGHTER. Cage-monkey - No, this is not a throw back to Extreme Cage fighting, nor is it something for Animal Rights activists to be concerned over, this blazing fast player is the one that preps the battlefield for your vehicle to be completed on time. A master of speed and process. Part of a Team of others just the same. They work together to move a mound of parts each week to the on-deck circle. OWNS A RALLY FIGHTER THAT LOOKS LIKE IT CAME OUT OF THUNDERDOME. 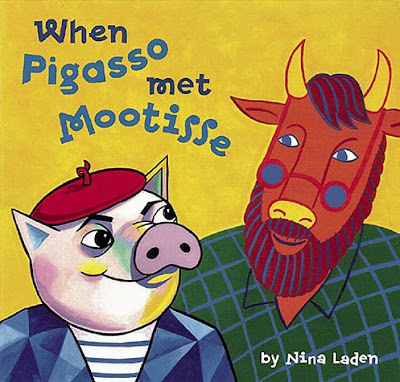 Matisse and Picasso- These wrappers are coatings masters who run the personalization wing of this jumping joint. Stand back and watch them work magic. They help you leverage the magic of the design community, and once your LM creation is designed, they PUT IT ON YOUR CAR. OHMIGOODNESSSSSS!!! If you think BMW's art cars were something else....TRY THEIR RALLY FIGHTERS. WATCH OUT NYC MOMA. Vulcan - This is a member of the team that joins steel with fire. True much of our LM vehicles are made of advanced lightweight materials, but never fear there is also a good dose of steel to tie things togther. Visors down FLAME ON! THEY HAVE HOOKED MILLERMATIC's TO THE BACK OF THEIR RALLY FIGHTERS. 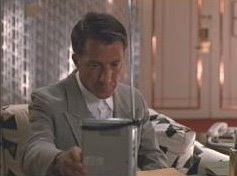 Shipping and Receiving - Like Raymond Babbitt of Rain Man fame, these folks know where things come from, where they are stored (for a little while only), and where they are off to (very soon). THEIR RALLY FIGHTERS SAY.....INVENTORY KILLER on the side. Ship it in Just in Time, move it out Right on Time. 7 months ago, I contacted Pandora to see if we could enter into a relationship where they would provide us with an API so that we could allow users to display their pandora settings and music selections on their profile or on their checkups and entries. Pandora was unable to fulfill citing conflicts with record industry laws. Now, however, Blip.fm is on the scene. I wonder if they are as inhibited. This is one of the most useful and engaging sites I have seen/heard to spend time on in many months. I just got it, and started using it. Shows the power of music.....now blend that with great car concepts and all that is left is Touch and Smell. Anyone recognize this front left corner ?? Buzz Machine's Jeff Jarvis is talking Open Car Design! Fred Wilson brags about his portfolio company, Buglabs, opening its redesign process with Ideo to the public — as well he should. Opening up makes sense especially for a company producing what is supposed to be open-source hardware. But it makes sense for any company in most any industry. In What Would Google Do?, I argue that even automakers should open up design. What if just one model from one brand were opened up to collaborative design? Once more, I don’t suggest that design should be a democracy. But shouldn’t design at least be a conversation? Designers can put their ideas on the web. Customers can make suggestions and discuss them. Designers can take the best ideas and adapt them, giving credit where it is due. I don’t imagine customers would collaborate on transmission or fuel- pump design—though a few might have great suggestions if given a chance. 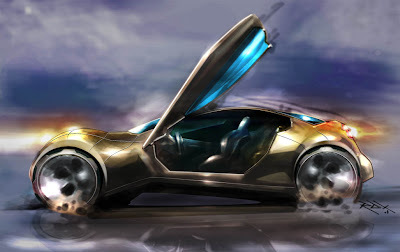 But they would have a lot to contribute on the passenger compartment, the look of the car, the features, and the options. They could even get involved in economic decisions: Would you be willing to give up power windows if it got you a less- expensive car or a nicer radio? This collaboration would invest customers in the product. It would build excitement. It would get the product talked about on the web and linked to and that would earn it Googlejuice. It could change the relationship of customers to the brand and that would change the brand itself. 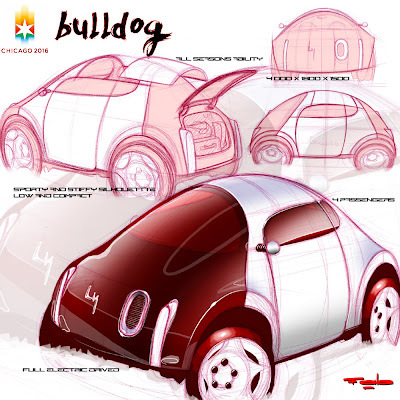 Imagine that: the collaborative community car—our car. The entire chapter on on the Googlemobile is supposed to be run in Business Week later this month; I”ll link to it when it goes up. I also argue in other chapters that there are many ways to open up. When Google puts out a beta - or when a journalist publishes an unfinished story and asks for help - it is a way to open up the design process. Car companies did just that for years on end with countless focus groups. By doing that you get bland, milquetoast automobiles that are watered down thanks to their design-by-committee nature. Remember the Simpsons episode where Homer designs a car? 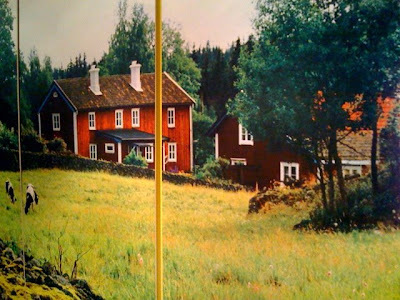 It’s not far off from that, except unbearably bland and awful rather than outlandish and tacky. The best cars are always designed by people with passion and a single minded purpose. BMW- The Ultimate Driving Machine, Honda-Family cars designed by Formula 1 fanatics. Don’t even get me started on the enthusiast companies. Granted, there are good ways to get consumers involved in the design process. When Honda wanted to design a minivan, they went and interviewed people picking their kids up from school about what they wanted in a minivan. The first generation Odyssey flopped (though it was a good car), but the second and third generation models were a success. Ultimately, some things should be left to the pros. Cars are one of them. You can have all. Passion, Consumer involvement and Pros involved. We have found that there are many many more people outside of the industry with passion that runs even deeper than (or at least as deep as) those within it. This ratio of passion outside to passion inside is getting even more lop-sided as the auto economy worsens, and such out of work impassioned good people are just as useful to a process outside of a job as in one. What's more, we are all honored to participate in great projects when our opinion is valued. We have also found that if you listen to customers directly and often with an open pipeline but a firm professional hand on the production tiller, that you can build a strong product together. (Customers lead -> Pro's build and advise = Customers get a professional car that is what they asked for). Great equation and very different from (Marketers lead -> Pro's build and advise = 50/50 chance that customer gets what they want, when they want, and in the right numbers). I agree that the current auto manufacturer OEM is not set up to use this customer feedback, and when it tries it is almost guaranteed to have an unbuildable or unprofitable car (not sure which is worse). Focus groups are not the same as an open pipeline of information set up to be part of the process on a two-way street. No one ever tried to educate the customer in a focus group. With open-car companies, the company can give back as much as it gets. The key is NOT applying the suggestions in this post to the current auto industry as it is conceived. Software did this transition, T-shirts did this, major drug companies did this with their most complex and expensive drugs, P&G did this with their most precious product lines. From expensive to cheap, and simple to complex, this revolution of the way to involve customers and to improve products is here. For more of this dialogue, please visit the post and Jarvis' deep thinking blog entitled the Buzz Machine. His is one of the best organized and simple to consume blogs that I have seen. Interestingly enough, his next post after this is about the fight for survival of traditional journalism. I take keen interest in this as the blogosphere grows. Good comments, critiques, and journalistic intent is not a god-given skill and anyone interested in protecting them would do well to read Jeff's post. that and came away very rewarded. only known one way of doing business. free your mind to live, go see Valkyrie, and buy a Rally Fighter!" What could be more fitting for Martin Luther King Junior Day? Yesterday in response to my post about competing in an age of EVs, I had a strong response from a reader who was lamenting the fact that Tesla would fail but not because of small diesel engines running bio-diesel (which is where our car market -should- be going, but isn't). In response to that comment I thought I would shed a little more light on the state of diesel in America. Quietly and strongly the diesels of a new era are emerging. I say quietly, because hybrids are getting a great deal of attention, but that attention has ceased to deter the introduction and purchase of less-expensive, more reliable, more powerful, lower emitting, more environmentally friendly diesel engines (when compared to Hybrid) from a range of the biggest automakers. "There is also a national strategic imperative. The EPA estimates that if 1/3 of vehicles on the road in the U.S. were powered by clean diesel, then we would save 1.4 million barrels of oil per day. That happens to be the amount of oil we import daily from Saudi Arabia. We can dream about discovering new oil fields to make this country less dependent on foreign oil, or we can embrace the technology that achieves the same result today.....Hybrid technology has its place for heavy stop-and-go traffic. Plug-in electrics sound promising, but the reality is we simply move the emissions downstream to the power plant, and in any event, it will require very substantial investments in time and money to increase the generating capacity needed to facilitate the large scale commercialization of electrically powered vehicles...When it comes to fuel economy, environmental impact and cost of technology, clean diesel is a better option for the rapid commercialization of economically feasible alternative powertrain technologies. Putting its money where its mouth is, Audi is bringing four models to the US in its core diesel group the Audi A3, the all-new Audi A4 sedan, the all-new Audi Q5 crossover, and the Audi Q7. Each powered by Audi TDI technology. These very cars traveled America on a 5,000 mile introductory tour between October 6th and 19th. The first will be in American garages this April. If Audi wasn't convincing enough, BMW has brought a new brashness to its campaign. BMW has brought diesel to the US in all 50 states for sale right now in both its 3 series and it X5. My parents, perhaps some of the toughest customers, even test drove one today. They were glowing. They haven't driven diesel since the 70's. And then there is Mercedes Benz who for the last several years has been selling diesels in almost every state of the nation and just went into all 50 states with its full line of SUV's: the GL, M, and R class Bluetec Diesels. Next up Kia, Cadillac, and then one in your garage. Demand the government lower its antiquated tax on Diesel. Join the diesel revolution. Have fun and do something better right now for the environment. It is here. It is real. It is not a pipe dream. All the power, with even higher efficiency. Do it now! 1) Low-cost - "Make it cheaper than everyone else and charge the lowest price." 2) Differentiation - "Make it better than everyone else and charge more for it." In short, Michael Porter, has taught the world that in order to enjoy either of these factors a Company must engage in rivalry with other competitors in its market...and that is not all. While doing so, Companies must contend with several other factors: the power of its suppliers to limit options, the freedom of its customers to choose another product, the entry of substitute technologies that make its product useless, and the threat of new entrants. Whether or not you subscribe to rote theories of business strategy, the core ideas make pretty plain sense. - They have no realistic barrier to entry as some of the most powerful companies in the world are already tooled up and manned to make the same basic car (minus the powertrain) faster and cheaper than Tesla. Give them a year or two, and the powertrain will also be in their grasp. - Battery suppliers are legion and competing each other down to the last red cent with greater and greater power and safety every month. If Tesla were buying from this market, it would be good news, but they have made their own bets on battery technology and have not seemed open to using other people's batteries. - Substitute technologies of bio-diesel, hydrogen combustion, compressed air, boosted gasoline, and even network-recharged battery swappers (the likes of Better Place), make the options to Tesla's embedded battery car compelling, at the least. This strategic score-card says to me that the electric car business, in the way Tesla has approached it (centralized factory mass-production, dealerships, contract car building knowledge and early production through Lotus, contract captive battery production in Asia, etc.) does not hold sustainable profits. If I were them, I would focus on the core product of the drivetrain (battery, controller, and motor) and sell this package to every automaker in the business before these others take the time and money to develop their own. That could be a way, perhaps the only way, to take what Tesla has achieved and to develop a sustainable competitive advantage. Two years ago, we approached Tesla with this very idea and asked them to sell us batteries and controllers and rotors. We were willing to pay for their expertise and to slap a badge on the side saying "Powered by TESLA". What could be better? For a short while, they had a division that entertained this idea, and then they shut it down. I was dismayed and sad for them, because it appeared that they were giving up on one of the best parts of their business. 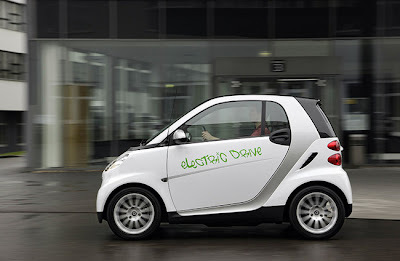 Then, just yesterday, they announced formally a partnership with Mercedes Benz to provide the batteries and chargers for a limited set of 1000 EV Smart FourTwo's. They even said that this could lead to more if all goes well, and that it was not exclusive but rather open to other manufacturers. BRAVO! For what it is worth (from the peanut gallery), this could be the first step in a while that Tesla has taken toward sustainable profitability. It will be interesting to see how many other automakers they sign up. I hope many. We, for one, will be talking to them if they are open for such discussions. I sent them my first correspondance in two years this morning. Where have we come with complexity. Everyone wants a massage? "In the time of Harley Earl [famous GM designer of the 50's], every designer and engineer was part of invention and new discovery. Transportation icons and fashions were developed at the rapid rate. 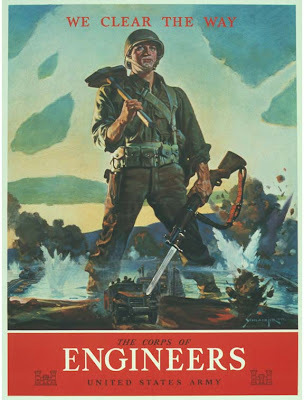 Engineers and Designers saw the whole scope of their professions working on each part of the car. After all Earl's daily driver was a Buick Y-Job - the industry's first-ever concept car. Today, fashion in mass production car design rarely changes and we [designers] have become tradition bound to wear the black clothes and the orange shoes and to carry an ipod. Do we really design like Harley Earl, or do we simply respond to 5 decades of referential imagery. Are we just boiling the ocean? Similarly in France, after the WWII, people were able to start a business to pull themselves up out of war-induced poverty by simply hanging out a shingle and inventing a product. Today in France, those same people, who would have started their own business, would hardly waste the time because the bureaucracy to start a new business is too daunting....the paper work is far too burdensome." I know that some might call this heresy, but I call it brutal honesty. And the United States is equally burdened with the same plague. Cars have become dominated by extras that we don't need in the name of innovation, and design - true form and function personified - has been largely sacrificed in the face of these "advancements". The very notion from this video above that such a Lexus is the new standard to which all cars must respond is an affront to any design sensibilities. Today, I drive a design icon which is 37 years old and it still works and looks beautiful. Call me heretical, but this Lexus is a nightmare of potential warranty claims. Just imagine it in 37 years. If the remotes for the massager are still to be found in the rear arm rest, guaranteed the buttons will long be worn out and Lexus won't even make the switches anymore. So you will be left with a hunk of steel called the 2009 LS 460 with immovable backseats, and no one will be lighting a candle for its iconic design curves. Where have we come with complexity? My simple plea is that as we persist with this Sisyphean task to wash dishes in the rear seat of a sedan, that we remember that a car can be more than the list of its functions. It can aspire to greatness in its presentation. It can take your breath away. What's more: it can carry you in timeless style, reliably for decades if treated with a modicum of care. Local Motors has set about with determination to answer this plea. Only 2 more days and the 9th LM competition will open for submission! Chicago Motors is off to a very strong start with many many checkups flying around with Chicago on the brain. 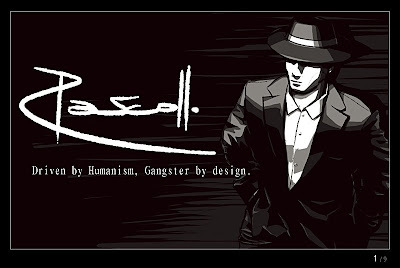 Thanks to Tom O. Rascoll, our friend from Chicago, many have found some excellent inspiration for their Chicago style. Nonetheless, before we go too far down the lane of Tom's shadowy memories (all of which greatly inspire me), I also wanted to make a plug for another side of the Second City, which leaves me equally inspired. That is, of course, the architecture. 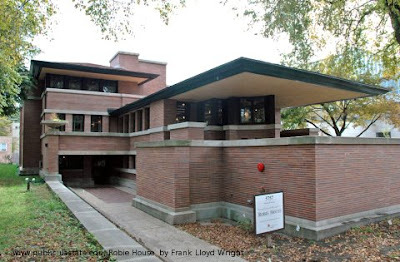 As a simple but powerful example, Frank Lloyd Wright's Unity Temple in Oak Park and his prairie style Robie House in the same neighborhood, are stalwart icons of American Architecture, and they ought to serve as very strong inspiration for almost any style of built design. 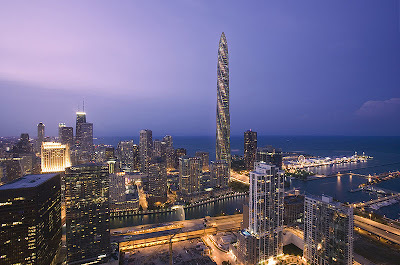 As a second example, further toward the lake is another icon which has already caught some of our designers' attentions, and that is the Santiago Calatrava's design for the Chicago Spire at Navy Pier. 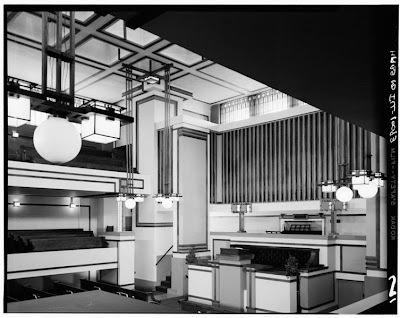 Though far afield of Wright's inspiration, this design speaks again to the majestic and ground-breaking spirit of Chicago as a city of industry and confidence. So off to voting I will go with my notepad in hand and my expectiations high. Come next week, I greatly anticipate the submissions and the week of voting to follow. I may even reserve my top marks for one of Tom's more dark inspired vehicles, but before it got too late in the game, I thought I would make this pitch for Chicago's built landscape once more. Go Local, and Go Chicago. 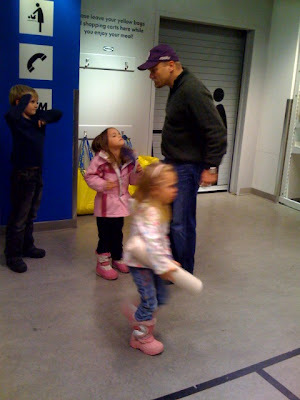 Today we took a family outing to IKEA. 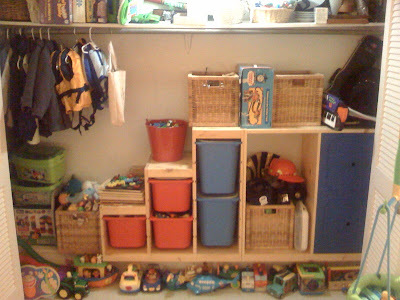 Our boys' toy closet was in need of reorganization and tidying up. 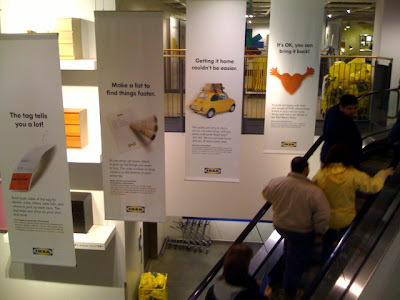 We debated about whether or not to go to The Container Store or IKEA and we landed on the latter.... boy, am I glad we did because it has given me enough inspiration for our next LM facility to last a whole year. 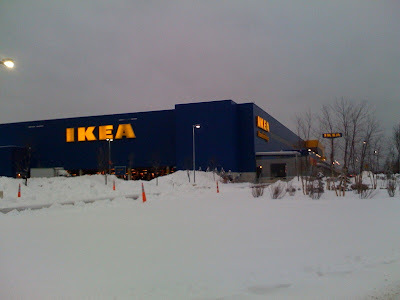 The weather was dark and dim, and I was not sure we had made a good decision when we suddenly came up the hill and saw IKEA like a beacon in the snowy distance. The moment we drove into the covered lot, we were transformed into a Swedish experience. 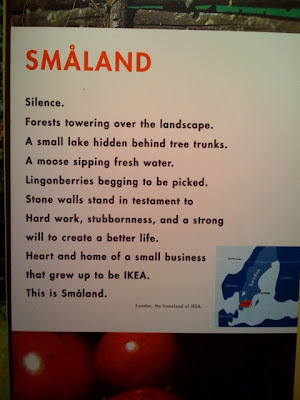 IKEA was born in Småland, Sweden, a bucolic and lovely land and you could feel the presence when we sat in the cafe to eat. Swedish meatballs, fresh Gravad Lax, and wonderful things for the boys. They were in heaven and busily eating as Susannh was previewing the catalog neatly left on our table for just that purpose. Plants were growng on the roof to help dissipate rainwater run off, and I was in high-cotton thinking of our first LM facility and its ability to transform its "participants". 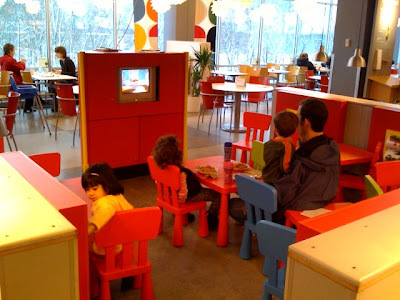 Immediately, I started to scan the room for the type of people there and how they were interacting. 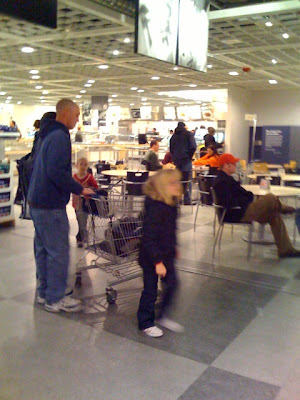 Clearly shopping for homewares is not the most common of male past-times (I know that is a generalization, but probably spot on), nonetheless, men were all over the place shopping away with their significant others. 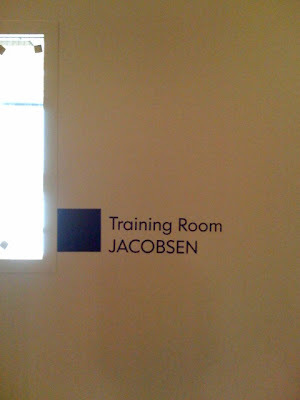 The next thing that caught my eye was the Training room decorated in serious IKEA fashion and dedicated to Arne Jacobsen (obviously someone whom everyone working there needed to know and pay respects to). 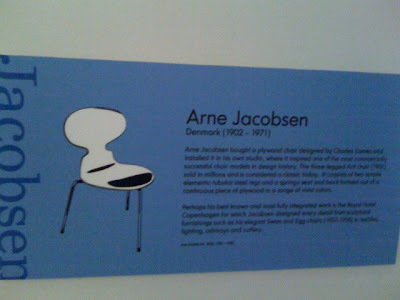 A Dane, no less, who had a profound impact on modern furniture design....and we ought to have known that....and now we do. I love this kind of inner-company commitment and seriousness of brand. In fact, I was surprised to see floor tents that said "Wet Floor/Piso Mojado" and not "Wet Floor/Vått Golv" (that is, of course, Swedish for "Wet Floor"). 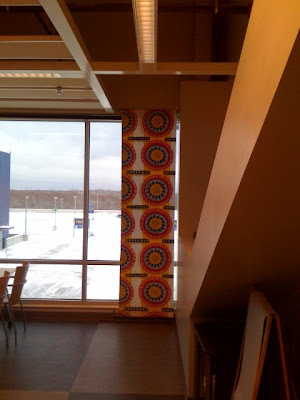 But at any rate, the seriousness of the Swedish decor thing was ominipresent and the employees were great. Even the signage was clean and clearly directive. Education, education, education, from the moment you walk in the door. Well, we went on our shopping. 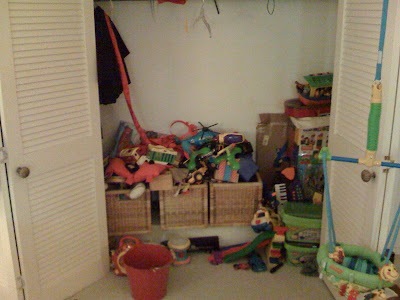 The boys played and we looked for organization for the toy closet. 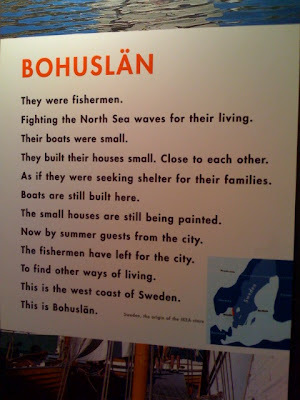 The folks (MA lineage/Swedish trained) were SOOO helpful and we quickly found what we wanted. Then we headed down to the warehouse to pick up our stuff, and the boys LOVED that. Self-Service, less cost for the business and the client, more connection with the customer, more time to merchandize, better experience all around! Finally we packed up the car on this terribly weather day, and we trundled home to spend the rest of the evening reorganizing. Voila. A great day. A great shopping experience. A little bit of handiwork from Dad. A little bit of organization from Mom. A little bit better for the environment than your standard store. And shelves we will always remember - and keep - because of it. Yesterday, I picked up the phone and the Industrial Arts Teacher at the local school was calling to say how cool it was that we even existed, AND better yet that we were in HIS TOWN. He had seen an article in one of the local Boston papers, and checked out our website only to find out that we were right nearby. He could barely contain his excitement saying that for years he had been working on a basic vehicle design class and to know that we were right in town was just so cool. We will certainly meet up for coffee and I have already invited him to bring his class to the HQ. Should be fun. My name is Bridgette, and myself and my husband own Powder Horn Press, Inc in Plymouth. While surfing the net I can across your web page, I LOVE cars, I just wanted you wish you luck and congratulate you on your recent win. Good Luck and I hope you can succeed in bringing something new to the market while being local. My response: Thanks Brigette. We are working hard at it everyday. Go LOCAL! If we have printing needs, we will also keep Powder Horn in mind! Her reply: That would be great, but I really am just excited to know you are there, I drive the most practical car in the world, but LOVE to dream. Good Afternoon. Happy New Year !! 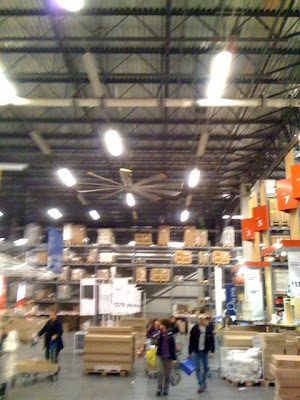 Saw a wonderful Write up on your Company on Yelp.com !! We are a Local Specialty Printer since 1968. We worked with Solectria back in 1995. Remember Those MIT Grads that made the Solar Electric Cars?? Where I see the fit is at two levels. We are able to make small laser cut quantities of Graphic User Interfaces for the Dashboard and Engine areas. Also, We make Banners, Flags and Displays. 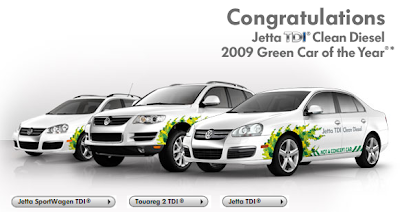 Further, We can do wrap Graphic Designs for your Limited Quantitiy Vehicles. It is events like this where you can see the warmth and connection of local businesses and organiziations with each other. I look forward to the day that these connections are being made with every Local Motors facility wherever they are. I wish I could say the blog was back after the Holiday hiatus, but the circles under all of our eyes would belie that idea. In the last month we have been hard at work on the ATVMLP (Advanced Technology Vehicle Manufacturing Loan Program) application to get Local Motors in line to take advantage of the US taxpayers desire to support a NEW generation of car manufacturers through a low-interest loan program. We have achieved a huge amount of information gathering and paperwork generation in support of this goal, and will soon submit our application. Rally Fighter moves closer to reality. Engine work, gas pedal, brake pedal, computer, steering column, etc. etc. The Chicago competition was announced today. GO Chicago! We are developing some totally new areas of our community for customers, engineers, and enthusiasts. All of this effort is directed at making the purchase and build of a Rally Fighter a reality for you. An actual place to get in line for your Rally Fighter! We are working on a new home page. This is as a result of our relationship with TopCoder, and these are totally phenomenal results. Next up is working the homepage into our current site. Stay tuned. We built a new Wall of design favorites that is now primed to grow with time. Check it out and nominate designs from any of our great designer's portfolios. Simply use the Nominate to Design Wall button on any profile page. And we are eying a short list of facility locations for our first LM facility selling Rally Fighters. American Southwest, here we come. 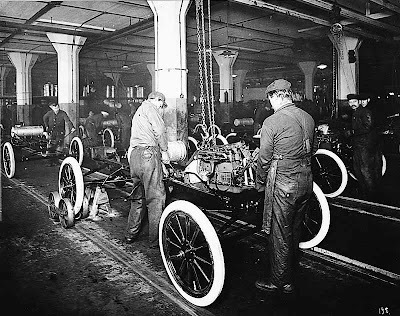 All in all, while the management team has been working the paper drill, the LM team has been working the landscape of new American automotive. We are here for you everyday and we strive to a new vision of car building and selling like it was our sole mission in life. Happy Holidays and glad to be back.